Dublin Horse Show 2018 is delighted to extend a Ladies’ Day offer for TWO to Rewarding Times customers for Thursday 9th August with a saving of 33% . Come with a friend and enjoy the glamour and fashion of one of the longest running Ladies’ Days in the country for just €62.00 for TWO, including RESERVED SEATING in the Main Arena and a glass of Prosecco each, worth €88.00. 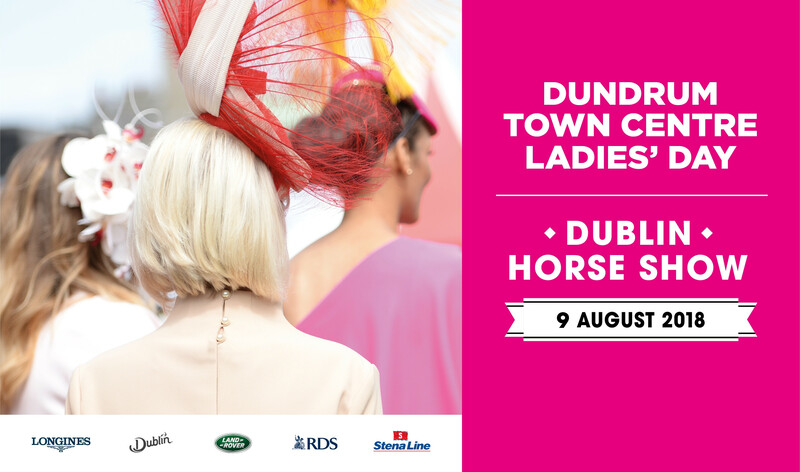 Dundrum Town Centre Ladies' Day at the RDS on Thursday 9th August 2018 is a truly glamorous girls’ and guys’ day out and one of the finest events of the summer. Every year Ladies’ Day brings its own unique and original style as well as all sorts of fun and entertainment for a memorable experience. Spend your day perusing the shopping village, before enjoying one of the many food offerings dotted around the grounds. The Show is an event for all, with entertainment, the finest in Irish craft, shopping, and the best in national and international equestrian competitions, you won't want to miss this summer's highlight. Be sure to dress to impress and compete for the day’s prestigious title of Best Dressed Lady as well as Elegance is an Attitude, Most Creative Hat and of course the Best Dressed Man. You must bring your printed Rewarding Times voucher as proof of purchase. This should be presented at the TICKETMASTER Box Office outside the Concert Hall entrance to the RDS on Merrion Road from Tuesday 7th August and your Horse Show Tickets will be redeemed against it. Multiple vouchers may be purchased, limited to 4 purchases per person.